Freelance writer Sharon Gutowski describes her philosophy and how she gets results. I tell your story, to make it easier for people to pick you. Because that’s what good writing does. It gets you what you really need–increased inquiries, better qualified leads, more closed sales, or engaged employees. In other words, I get you greater success. You have a story only you can claim, but you’re probably the last one to see it. 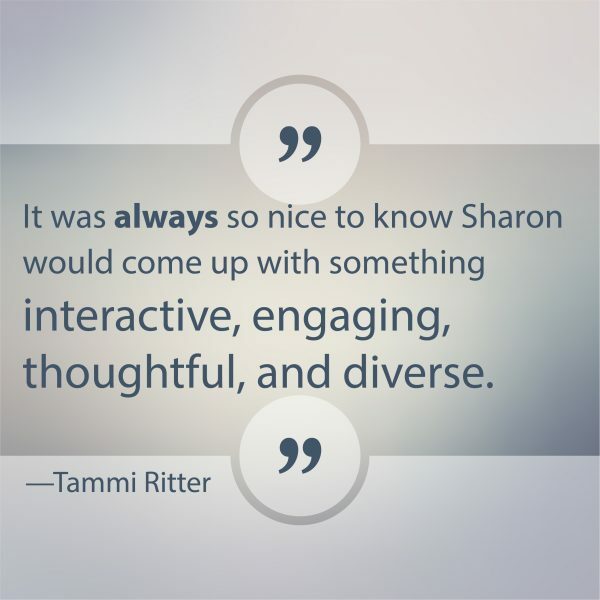 Let me write the story that resonates with your audience and draws them to you. You know you have achieved clarity when your customers come to you wanting the services and products you do best–and excited to pay. Attract the clients you deserve with great writing. You know the ones–they align perfectly with your passions, values, and strengths. They know you’re worth the investment. 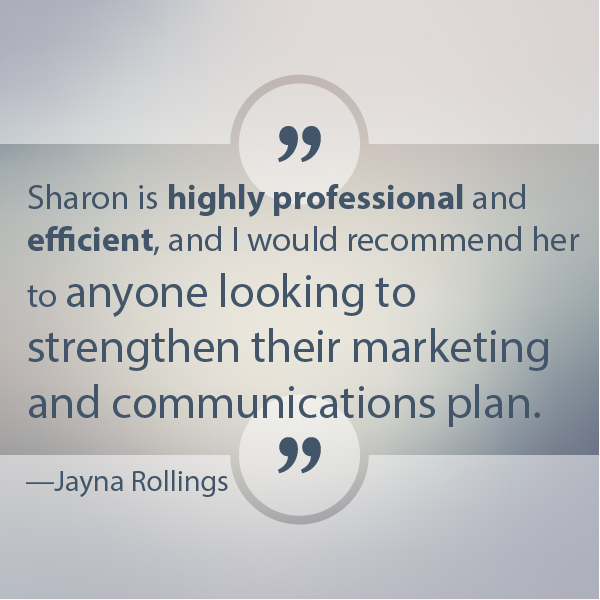 These people start out as clients…and become champions. Use my copywriting to create a vision of what you do and invite prospects to step inside. Inspire them to believe your promise in their hearts. Clients who believe are faster to say yes and trust you to create the best solution for them. Leverage content to take your rightful place as a thought leader in your industry. By the time your competition catches on, it’ll be too late for them to do anything but follow you, too. There’s no reason to wait, when it comes to quality writing. Call now or email me today. I’m not a jack-of-all-trades. Instead, I can provide you with expert writing to persuade your audience to give you a chance or take your relationship to the next level. I’m not a big agency. My pets are my office mates, and my focus stays on creating rock-solid value for you via strategic narratives. I’m not a temporary freelance writer. My dedication and passion bleed into my work. Every tap of my keyboard is a tiny investment in my integrity and reputation. This means I can’t afford to settle for anything short of writing that delights you. From small project-specific copy to articulating your big ideas, I can help you grow the right words into results. Sound like a plan? Let’s talk today. 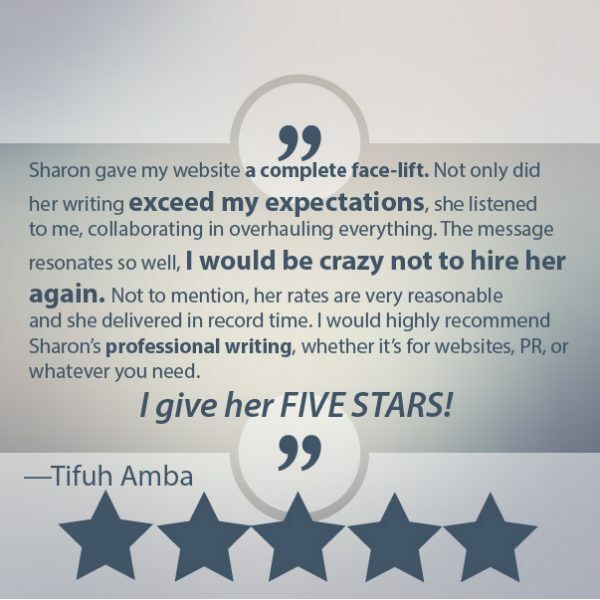 Call (314) 896-0001 or email me at hello@sharongwriting.com.